Availability 5 pcs. at central warehouse. 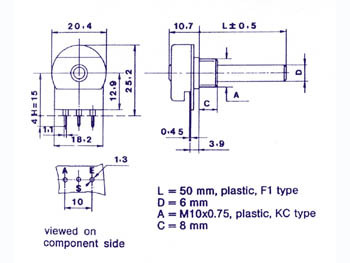 20mm rotary carbon track potentiometers for PCB mounting. Metal/plastic housing og plastic axe (Ø 6mm). 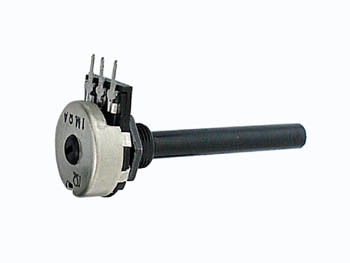 Optional single-pole switch (1A-24Vdc / 0.3A-250Vac).